For the power user there can never be too much speed, never be too many free resources. One of the things you can do in Android to set your phone or tablet free from that all too well known carrier/OEM stuff (and any other apps you don't plan on using) is DISABLE it. This keeps these apps from running and taking up system resources, leaving those resources for the apps and processes you actually DO want. 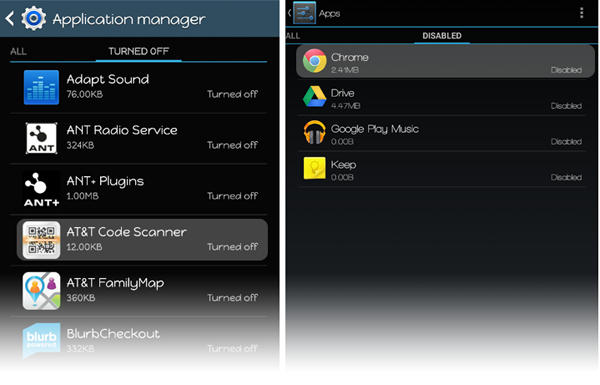 Disabling apps doesn't require any root privileges and is a popular, simple, and effective method of tuning your Android device. By disabling, the apps aren't uninstalled and are still sitting in your devices and, therefore, can be re-enabled should you change your mind. They're sort of in a coma. [WARN]Remember, with great power comes great responsibility. You don't want to go and disable something your phone actually needs running to be happy. [/WARN] That said, let's take a look at how to do this quick, popular, and often useful tweak on both a Samsung (left) and Nexus device (right). Most other Android devices based on recent builds accomplish this in a similar manner. Now, we're in the castle and just have to disable our apps and get out before the guards find us in here. 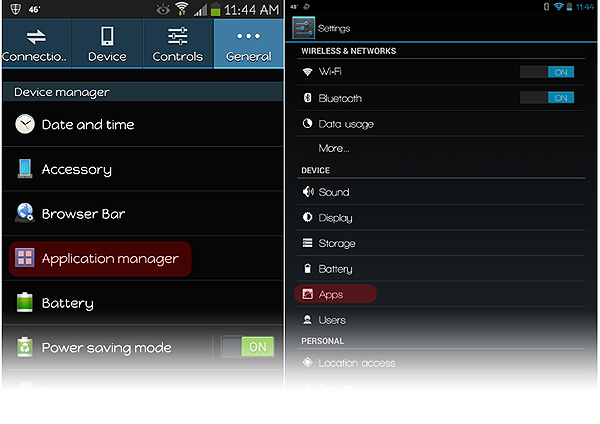 On the example on the left (our Samsung example), you'll tap 'Turn Off'. On the right (on our Nexus device) you'll tap 'Disable'. They're doing the same thing. [INFO]Any updates that have been installed will first be uninstalled and the app will be returned to its factory fresh state and disabled.[/INFO]. By doing this you can prevent a lot of that carrier/OEM bloat (or any other app) from affecting the performance of your otherwise great device. srkmagnus, musicmaker125, 1158pm and 20 others like this. Outstanding concept, but the first two items I attempted to do away with were not compatible with your instructions. The first item had no turn off or disable button (or anything similar) to allow me to turn it off. The second item had a Turn off button, but it is disabled. I am running a Samsung Galaxy S4 on Verizon with the most recent OS updates installed. Not sure if this is a given or not but I did run into one problem on my Sprint Galaxy S3 when disabling apps. I had disabled the Voice Mail app as I was using Google Voice exclusively. For reasons I won't get into here I decided to port my GV number to Sprint so it was my phone's dedicated number. I don't recall in what order these events happened but after disabling the Voice Mail app early on in my ownership of said phone there was an OS update and an app update. I missed the app update because I had it disabled. When I decided to enable the Voice Mail app after porting my number from GV to Sprint I ran into problems. The app didn't want to work. I never figured out the exact reason but my guess was that the old version didn't play nice with the new OS and I didn't get the app updated. I ended up having to factory reset my phone. Kind of a long story but I wanted to share so others didn't go down the same path as me. The easy fix, IMO, is to enable any apps before updating the OS. You mean, "enable any apps that are not available from Google Play"...any app you disable can be updated when you re-enable it, if it's from Play. Core carrier apps, not so much. 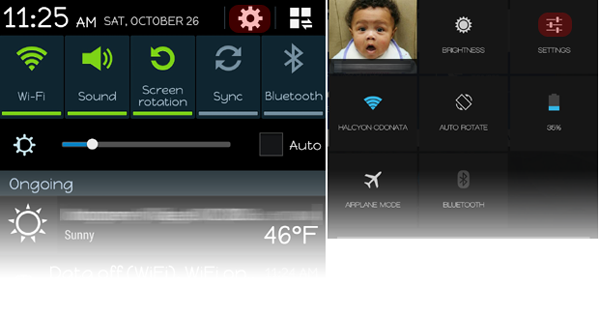 Note all apps on all devices can or should be disabled, your mileage may vary. "Mediaserver" is the only app/service I have trouble with. Keeps eating my battery on new 2013 Nexus 7. How do I disable that? Note sure what you mean but many of the Samsung apps on my Note 3 can't be disabled. Flipboard as well. yuri500 and gdschr62 like this. Neither provide the option to "Turn Off" --- or more correctly stated that option is grayed out. The, the Show Notifications checkbox. If you have an app that you don't intend to use, you want to uncheck this checkbox. This has always meant that the market won't notify you about updates for the app. (Which is fine, since you don't use it anyway). (Even disabled apps will see market update alerts). However, Google violated their own rule about what this checkbox means when Google Hangouts came out. to the old TALK app. and your phone would happily use the old version and not nag you to update. But with Talk, Google also prevented Talk from getting notifications of incoming messages when this was unchecked. to work or fit on old devices). So far as I know, only Google has confused the purpose of this checkbox. And I think they did it intentionally. Great write up. I really appreciate it! Thanks. No the apps should stay disabled even after a reboot. This still falls in the carriers & OEM hands. If they want something to be excluded from being disabled they have the option to do so. The "MediaServer" process is what goes and finds "media" (aka: music, sounds, pictures, videos, etc) on your phone's storage and creates a catalog of those items so that it won't have to perform this lengthy scan when you open an app that wants access to these files. Sometimes, though, certain files can cause the MediaServer to "hang" and run continuously, chewing threw your battery like crazy. This has been a problem for Android forever, and I've never seen anyone give a good reason as to why this happens, but the general consensus is that it's a problem with a particular media file that causes it. Usually, that means an MP3/WMA/etc with a "bad" ID3 tag that the MediaServer process can't quite read, so it just keeps trying over and over. I've also seen suggestions that certain types of files that the MediaServer process tries to read, it can't. 1) Find some tool that will "refresh" all of the ID3 tags on your music. There are a number of them out there. Just Google "id3 tag updater" and you'll get a few pages of results. Many of them are free, and will just scan all of the music in a given folder and make sure the ID3 tags are "good". 2) It may not be music. If you have a folder that you use to "transport" files, like say some AutoCad images, that you don't necessarily want the MediaServer to try and parse anyway, just create an empty file called ".nomedia" (period [.] at the front is important) in that folder, and the MediaServer will not attempt to scan that folder for media. Now, if you're running on a Windows PC, you're going to have to put something in front of the period, and then rename it on the phone. Linux considers files that begin with a period to be "hidden/system files", but Windows doesn't like you making a file that (as far as Windows is concerned) has only an extension and no name. 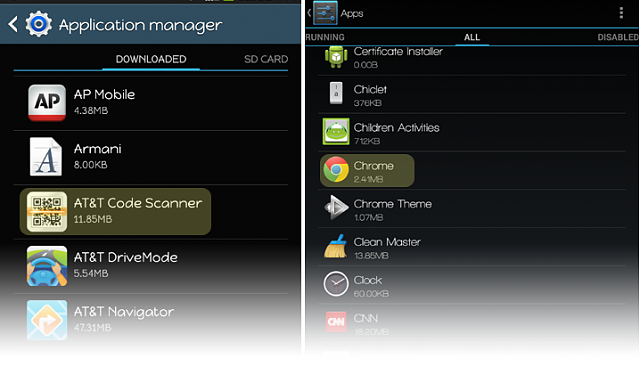 Any basic file explorer tool for Android (such as ES File Explorer) will allow you to do this easily. 3) This one is not pretty, but if you have a lot of music on your phone, consider pulling all of it off for a few hours and see if the problem stops. If it does, then it's one of your music files. Try adding them back, 10 or so at a time, every few hours, until you see the MediaServer "hung" again. Then you know it's one of those 10, so start taking them back off the phone one-by-one until the problem stops. This method is, unfortunately, aggravating and very time consuming and would require you to potentially go without your music for a few days, but I can speak from personal experience that it *will* fix the problem. Good luck, and let me know if you need any additional help. Actually, this can be a useful trick if you have games that store in-game images (like a menu background) on the phone storage or SD-Card, and they start showing up in your gallery. This will effectively "hide" those images from the gallery, since the MediaServer is responsible for finding images, creating thumbnails, and adding those thumbnails to the gallery. *Most* games *shouldn't* be storing images as just straight bitmaps (they should be part of the application's resource pack) and *most* of the ones that do, usually put this ".nomedia" file in place themselves. But, for that one game that doesn't, it can be annoying to see those images in the gallery. 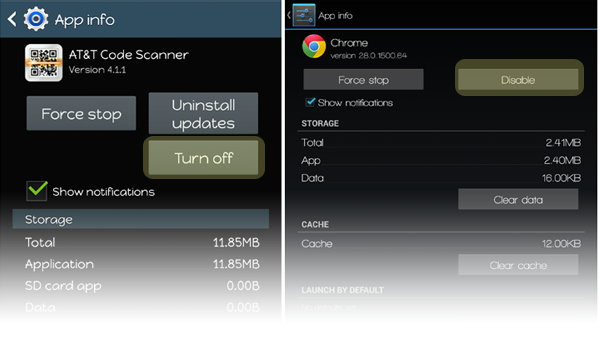 Disabling apps can cause problems. If you are going to that much work to tweak your phone, you might as well root it and use 'Greenify'. 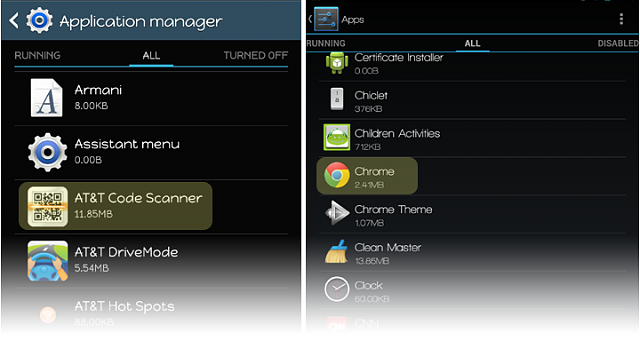 This first identifies which apps constantly wake-up using CPU time thereby decreasing battery life. From that list, you choose which apps to hibernate. The apps aren't disabled, but are prevented from launching on their own. You can launch any hibernated app the same as any regular app. When you are done using the app, it is automatically hibernated again and won't wake up until you call for it again. Hibernation has an advantage over disabling apps. If you want to launch a disabled app, you must go through the step of enabling it as well as updating the app through Google Play. This can be time consuming. Just hope you don't need that information quickly and that you have decent internet access while you are going through these steps. Hibernated apps update via Google Play without losing their hibernated status. TenshiNo, lets_go_android and Robert Hall8 like this. Thanks for this. I've been fighting Samsung WatchOn on Samsung GS4 with no success. It uses resources and since it is set up for US, it has annoyed me since day one. To be honest, when I read your guide, I scoffed at it because you never said to "Disable Notifications". I had worked out this was/may be a component of the problem. So then I read comments and I see flush cache. This was the piece I needed and it made complete sense once I read it. has finally got rid of an annoying app. I disabled the Google Play Movies & TV app on my VZW GNexus running 4.2.2. When I check the Play Store for updates, the update for that app appears. If I let it do the update, the app is re-enabled again. Sounds like for apps like these, you may want to use the Greenify app mentioned by jtrangsr above to make them stay disabled. From jtrangsr's description, it sounds like you would not need to uninstall the updates when you hibernate an app. What happens when there's a new update for the hibernated app? 'Would love to get that flipboard gone! I just got my very first Android Phone (Moto G) There are so many apps listed that look important...How do I know which apps I can disable and which ones I shouldn't mess with? Is there a list out there somewhere? You can disable all Google Play apps (like Books, Movies, etc. ), but I'd leave Play Store and Google Play Services alone. Any preinstalled app that came with your G is definitely something to consider disabling. Where to buy a new headphone jack?? ?